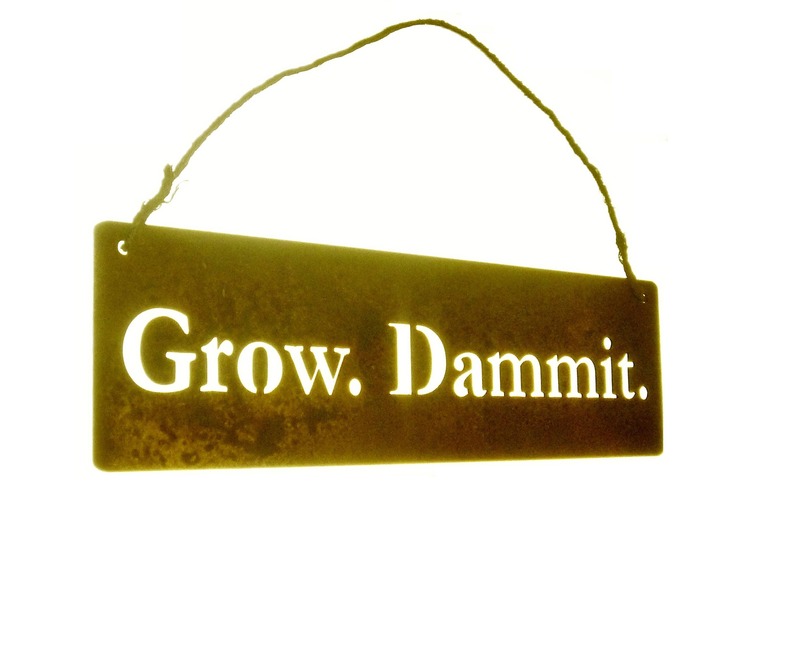 Grow. Dammit. 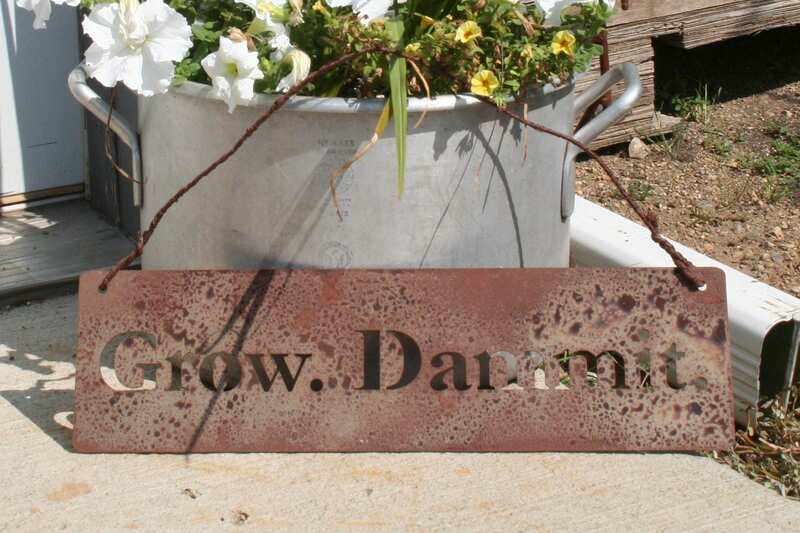 rusty metal sign is for the avid gardener ... or the one with some room to GROW! 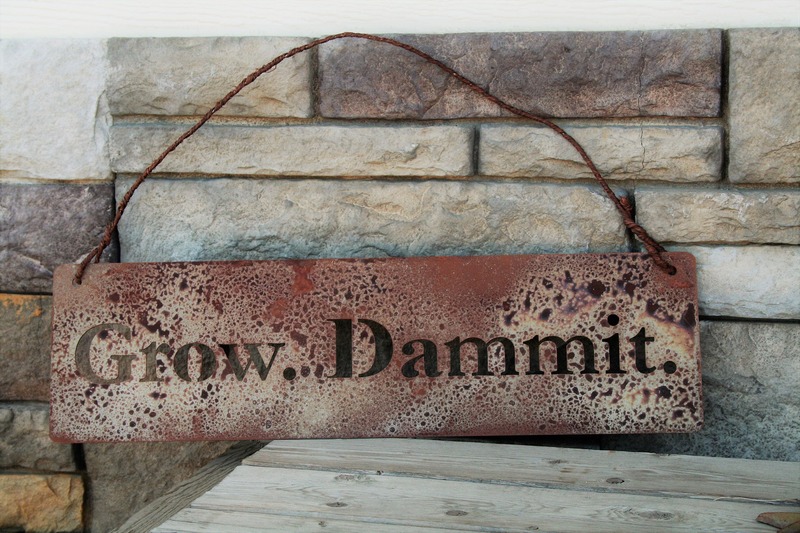 The funny garden sign will arrive pre-rusted and continue to patina with time outdoors to obtain that aged look. 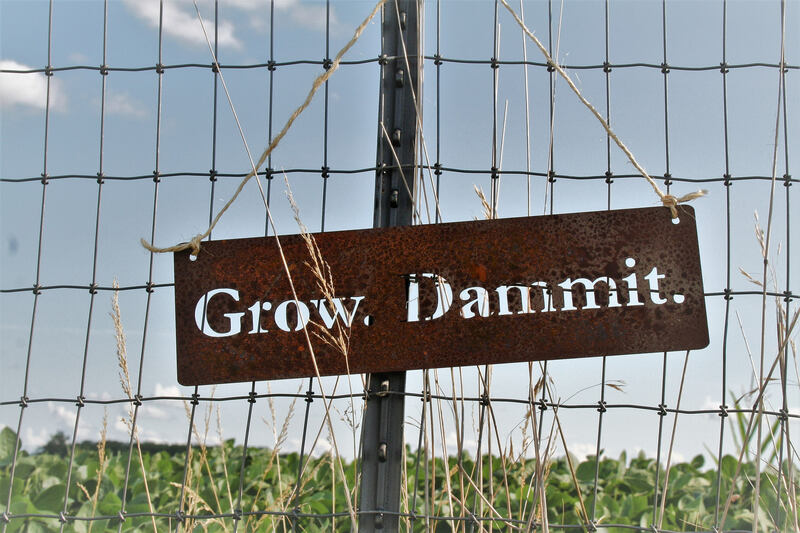 Grow. Dammit. 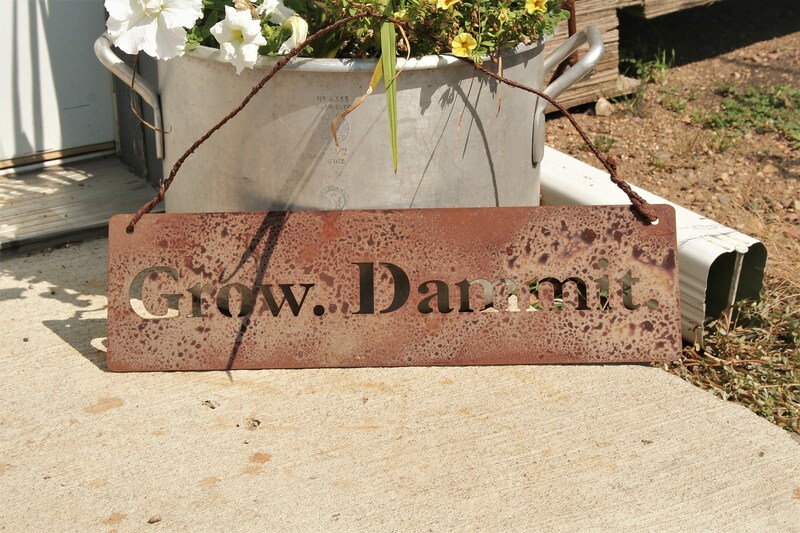 sign is cut from steel about as thick as a nickel. 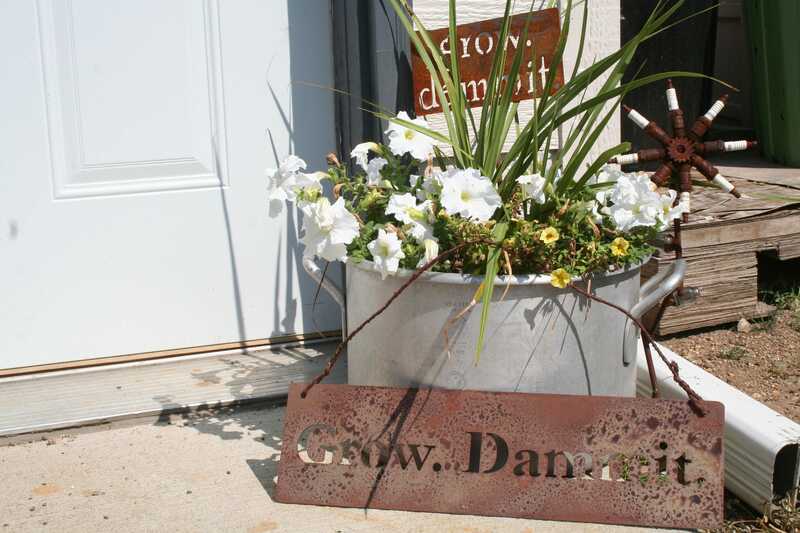 This sturdy sign is made to last! Weather safe for outdoor use! 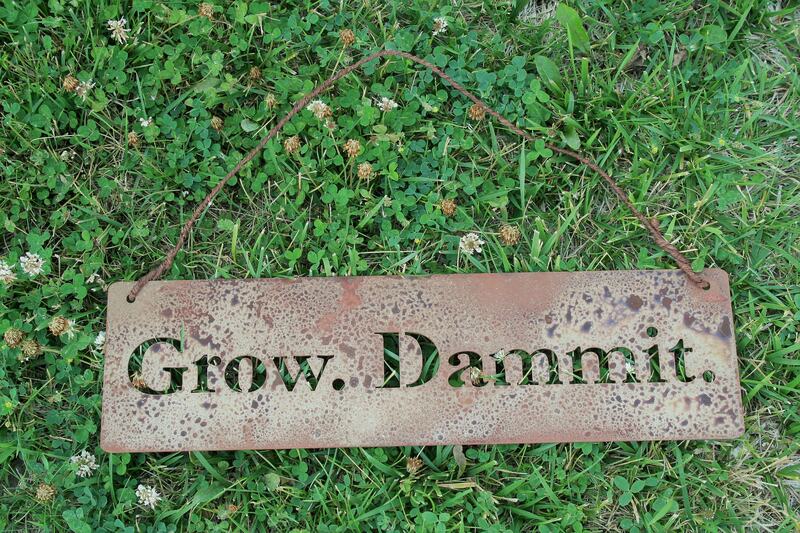 Metal garden sign is 18" wide and roughly 5" tall. 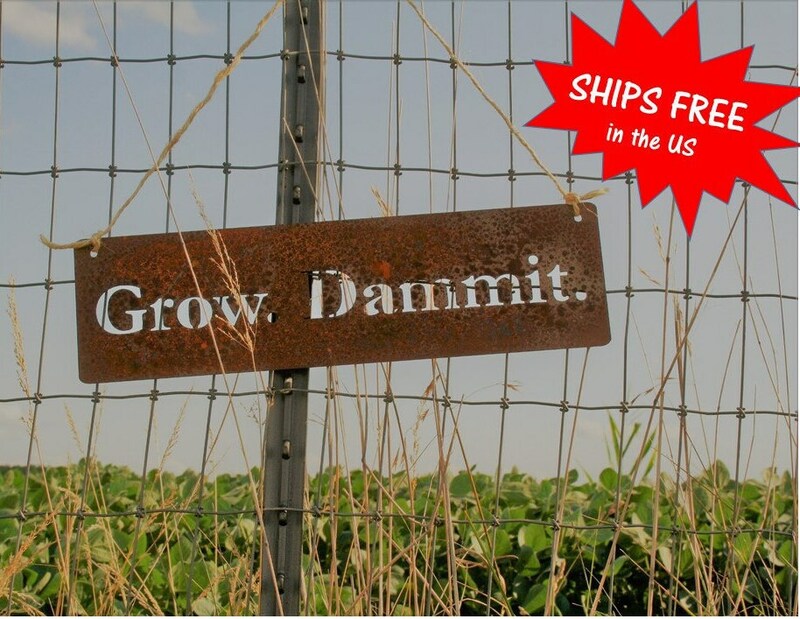 The wire hanger is ready to hang on your garden gate, fence or potting bench! Great transaction. Love the signs! Was delivered as promised. Am looking to place another order soon. Love it! Can't wait to start my garden again this year. This will be a great addition. Thank you! My mother-in-law loves it! 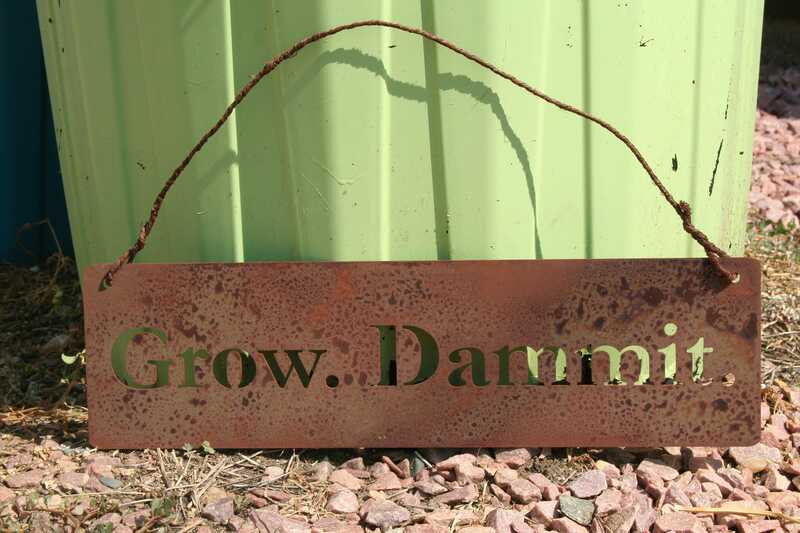 Makes a great addition to her garden. Shipping was very quick. Very cute sign. Heavy metal. 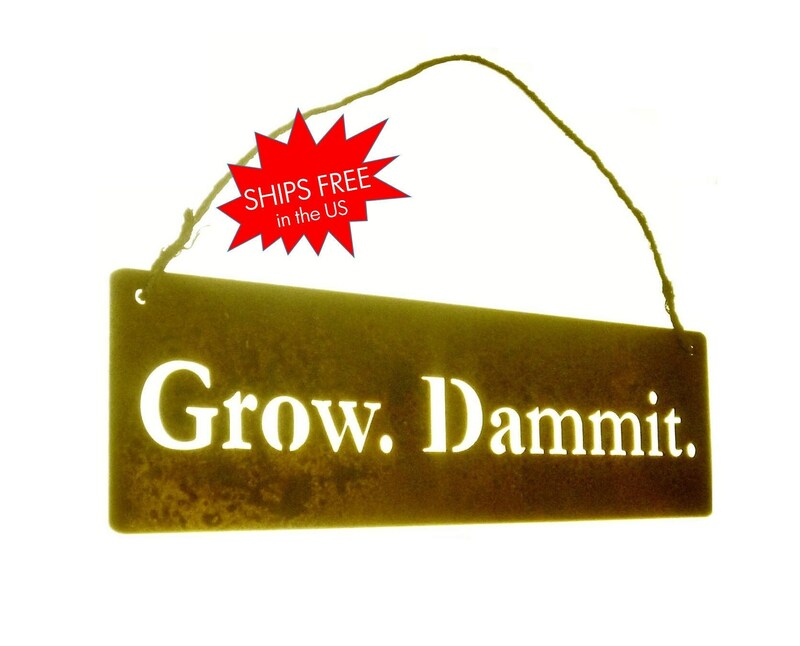 Shipped quickly. Thank you.